With the World Cup on the horizon, you can easily imagine this to be the quote from a certain player. Perhaps one who had been working that bit harder in training to achieve his lifetime dream to perform on the biggest international stage possible. However, it is not. It is from Martin Hansson, the Swedish referee. This is one thing that is not Given in Shay’s favour. For those not in the know, that man was in the middle of the World Cup qualifying playoff match between the Republic of Ireland and France. Nearing the end of extra time and penalties, a cross was floated in for Henry to control and deftly lift to William Gallas’s head, who nodded it in. Unfortunately, as noted by Arsene Wenger, the referee failed to spot the handball by Henry in controlling the ball (twice), and we’re in this ridiculous position of having two billion people watching the match and not one of them could help the referee. It’s a point worth getting back to slightly later in this review, but for now, I wish to point out this film’s basic premise. 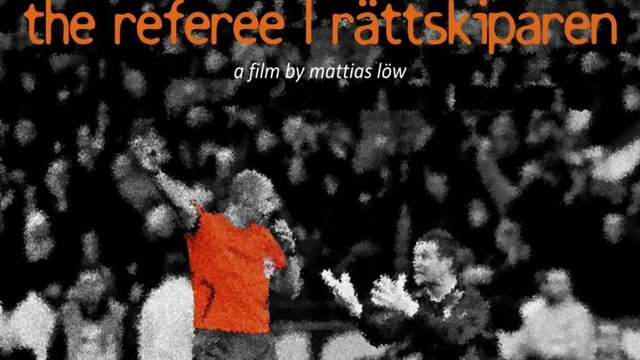 ‘The Referee’ is a short and simple premise by filmmaker Mattias Low: what is it like to look at things from a different perspective? To be more specific, the perspective right from the middle of the pitch. To that end, he engineered an interesting effort with the collaboration of Martin Hansson. However, perhaps what started as an objective look at the life of referees quickly turned into a small biography of Martin Hansson. Here, he detailed in a frank and open manner about the effect the game has had on his life. While many might be enamoured with the idea of being strongly and keenly involved with the game they love, Hansson made it clear that it is not without its own pitfalls. The most obvious is that of the reaction of fans. Football brings out the most base of tribal fears and factors this together with the intoxication of other elements. Bunch everything up together, and this mob rule can be a fearsome entity to deal with, especially if they are placed within a more national contexts. However, even basic tribalism between the likes of Gothenburg and Malmo, for example, is enough to set things on fire (so to speak). You’d be surprised, because Sweden has often been portrayed as a very neutral and emotionally disengaged country (not unlike the rest of Scandinavia). 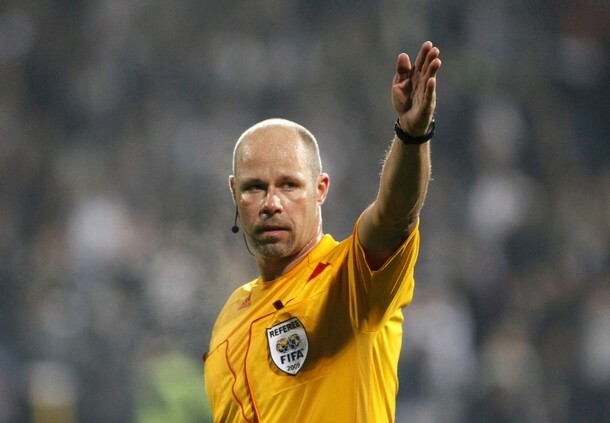 This impression has led quite a lot of foreign managers and players to question the capabilities of officials from the country and its neighbours; Anders Frisk is another official from Sweden, who has also been subjected to such great criticism that he was forced into early retirement. Frisk is a referee who the great Collina himself considered to have the right credentials and ability to manage a World Cup final. As such, it is interesting to watch this documentary with that extra factor in mind, given how referees from ‘smaller’ footballing nations, in a way, trough the same paths their own players go through in order to prove themselves. Hansson is no different, and it was made very clear that being at the World Cup is the ultimate dream as a professional. We get a clear sense of the agony he went through after the match, during which he thought that one mistake might have been enough to a career’s worth of work. The true villain of the piece, so to speak, yet he has escaped relatively unscathed. Here, we get to see a slice of that, with perspectives offered from his mother and his neighbours, who further reinforces the idea of a simple man having the courage to follow his heart. This is in addition to being a firefighter (most referees have a day job as well) and a father; he is no longer a husband as noted in the documentary. He considered leaving football because of the difficulties in balancing all three acts, but in the end certain things were decided for him. There was also a moment when we see him leaving a dressing room to be surrounded by some members of the press. He walked on by, after learning of their identities. One of them is from Aftonbladet, a Swedish newspaper who Zlatan very strongly identified in his own biography. It appears that Zlatan himself is not the only one, as Hansson patently ignored all their comments. “But you don’t know our questions.” “You guys always misquote me.” Something to that effect, at least. He walked through to the pitch, the camera following from behind. Once there, silence, for there is no one else. It’s almost as if the pitch itself is hallowed ground, a church in which he can find peace and solace. Thus, this documentary becomes a look not only at Hansson, but by proxy a mini discussion between the influence of technological advancements was noted in small ways. Hansson himself was under no illusions; he freely admitted that his mistake during that match paved the way for the involvement of another official behind the goal. The presence of that official is now commonplace at many continental and international level tournaments. Beyond that, the similarity between referees and players are enhanced through this documentary. The pressure brought about by fame and fortune (however relative they may be) is not one that is kind on everyone, and this documentary does a great job of highlighting just how it can impact everyone. Make love, not war, people. The filmmakers got lucky in a sense, because Hansson was involved in great controversy during the course of filming. I am reminded of Bret Hart’s ‘Wrestling with Shadows’, a documentary made during a very significant part of his career, during which he left the World Wrestling Federation (as it was known back then) for World Championship Wrestling. Sometimes I wonder whether these filmmakers had consulted with mediums beforehand, to foresee what the future may hold for their subjects. “My name will always be connected to Henry’s handball when France qualified for the World Cup.” This is a fear Hansson himself articulated in the film, and I suppose in many ways this review (or even the film itself) doesn’t help it that regard. Rightly or wrongly, that made Martin Hansson a bit more of a household name outside of his own household, and it made this documentary, short though it may be, that bit spicier to enjoy. Personally, I am no real fan of an objective and omniscient voiceover that dictates matters to us. Hansson has an interesting story to tell, and his part was told in a very frank manner, one that is not all that common. Nevertheless, such voiceovers were kept to a minimum, and as far as I could tell, it failed to intrude as much into the diegesis. 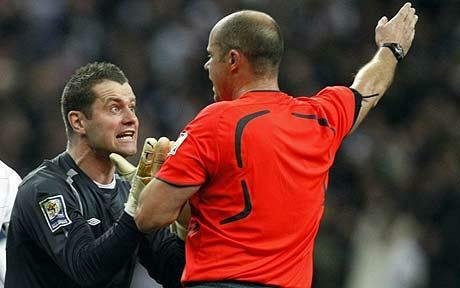 Martin Hansson has quit refereeing football matches on a professional basis in 2013. While I am sure it is a decision he has not taken lightly, I hope he finds a little bit of the peace and balance he looks for. Fikri wouldn’t want to be this man in black (though they don’t just wear black nowadays).